High standards of diagnostic pathology service are required in order to inform the treatment and management of both individuals and groups of production animals and horses. 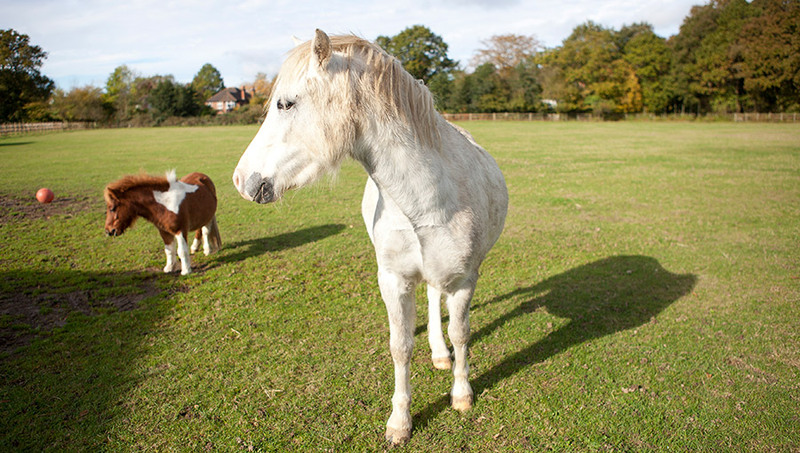 As well as diagnosing disease and informing the management and treatment of production animals, the Surrey veterinary pathology team provides important surveillance data to Defra’s Animal and Plant Health Agency (APHA). Monitoring levels of endemic disease, as well as detecting new and emerging diseases, helps to protect the national herd and flock, and plays an important role in safeguarding both human health and the food chain. Equine vets, among others, benefit from a timely and in-depth diagnostic service, which brings together the expertise of a number of board-certified pathologists under one roof. We also provide quarterly post-mortem examination data to the national Equine Disease Surveillance Group. As a new Vet School with state-of-the-art pathology facilities, including dedicated biocontainment level 2 and 3 post-mortem examination rooms, we are ideally placed to establish ourselves as a regional Centre of Excellence in Production Animal and Equine Pathology. We are able to achieve this through our established relationships with the farming, veterinary and wider scientific communities, as well as our commitment to training the next generation of veterinary surgeons and pathologists in production animal and equine pathology. Generating a strong caseload allows us to serve our local community and ensures that tomorrow's veterinary practitioners play an active role in practice from day one of their professional career.